bemisUNDERGROUND, 724 S. 12th St.
Over 170 original pieces of art were donated by artists for BemisUNDERGROUND’s annual $100 Art Sale. As the title precludes, every single piece of art is a steal at just $100. The artists and images of the work are a secret until the evening; but past years tell its extreme popularity with lines starting at 9a.m. 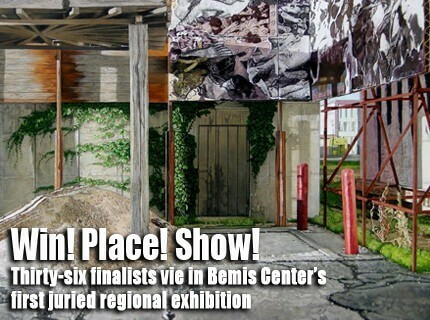 Raffle on select artwork including pieces by Vera Mercer, Mary Zicafoose, J Boy, Dennis Wolfbat McNett and Karen Kunc, will be available at just $10 all to benefit BemisUNDERGROUND’s programming and exhibition opportunities for the art talent in the Omaha community. In the past they have sold Saturday as well, but this year the UNDERGROUND will be closed after Friday—so if people want the deal on the art, it’s Friday or never!